Some of you might not know this but I have very sensitive skin.It's very delicate.I envy my husband because he has such thick skin(haha) that you can put anything on it and it'll be okay.Mine is prone to redness/itchiness/dryness/flakiness..especially on my legs(sometimes on my face). I've bought products from overseas before like pure cocoa butter,shea butter,apricot oil,avocado oil and rosehip oil.I try to keep it as natural as possible for my body because it gets irritated easily. My colleagues found out about Claire Organics and I looked them up.I was surprised at the quality of the products and the ingredients that was used.Finally I don't have to spend my money in USD in order to buy such products as they're available here. 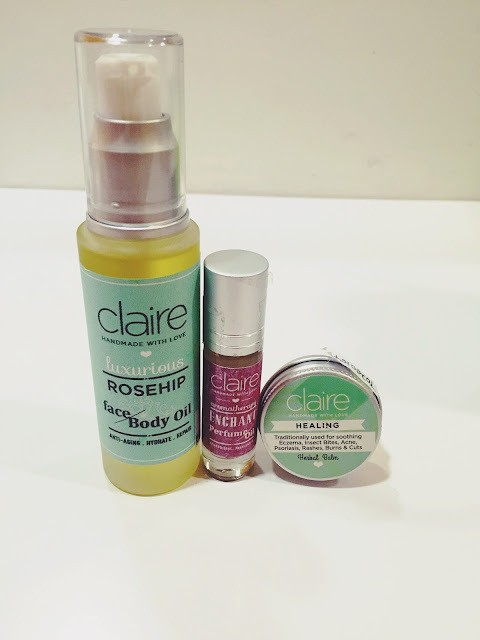 Louise from Claire Organics was kind enough to give me two of their products for me to use and review.I also bought another of their item because it caught my eye and my skin can really use it. 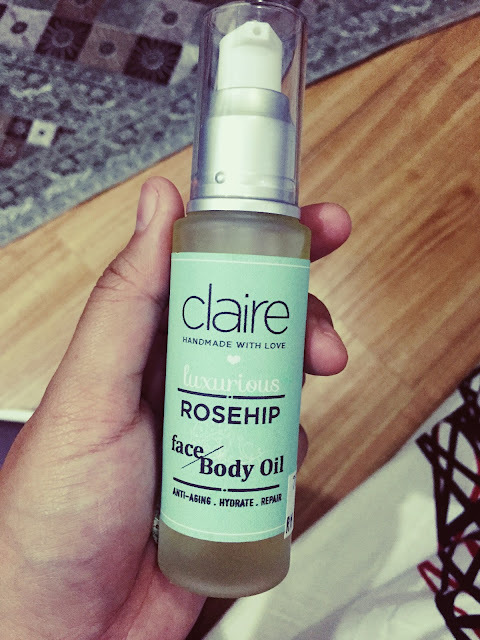 What I love about the products is that they're affordable but the quality is really great.So let me review the three items that I got from Claire Organics. 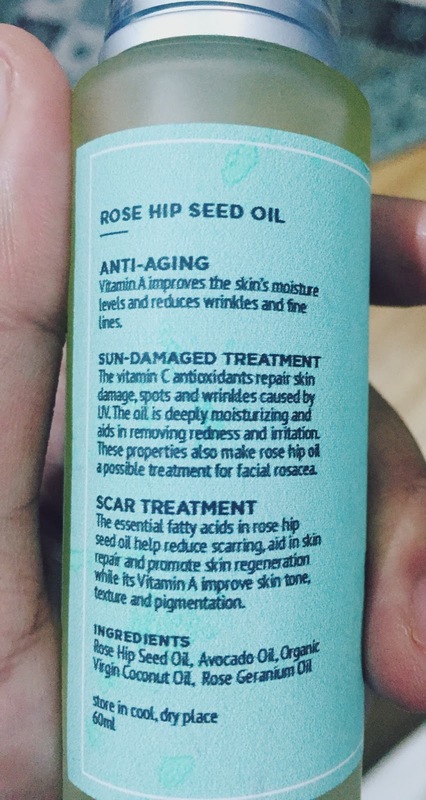 I've use rose hip oil by the bottles before from this brand that I bought via a website based in US. I'm so glad that Claire Organics sells this in a big bottle that comes with a pump. This oil is perfect for my skin as it minimizes any scar that I have on my legs due to itchiness and also moisturize it.I also use this oil on my face sometimes..especially on acne scars. I have no bad reaction to it and I really love it.It doesn't make me break out or cause any irritation.I would definitely repurchase this once I've finish the entire bottle. 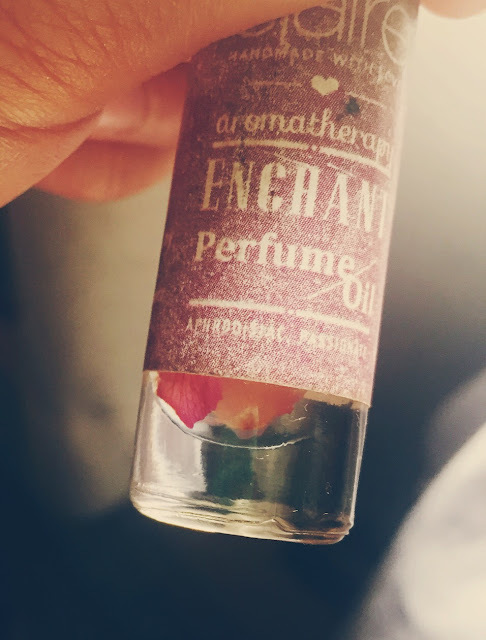 This perfume has a rose scent that is not overpowering.It's quite subtle.It's very calming as well.I love that it's a roll on so it doesn't spill all over and you can fit it in your handbag. 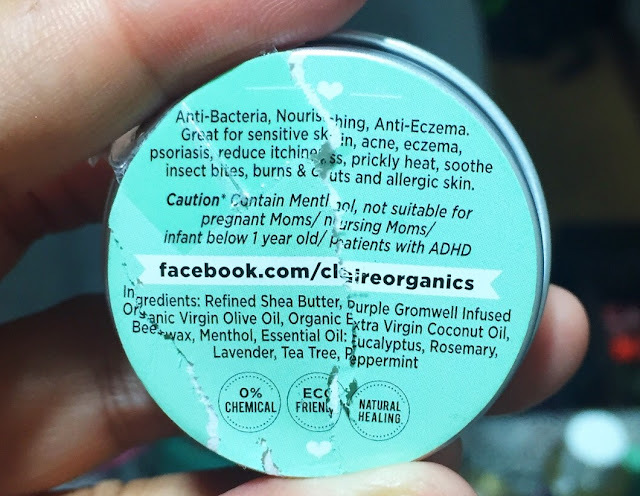 I have such sensitive skin and I get itchy at weird times.That's why I actually bought this balm when I saw it.It's written on the front that it soothes eczema,insect bites,acne,psoriasis,rashes,burns and cuts!Impressive.. 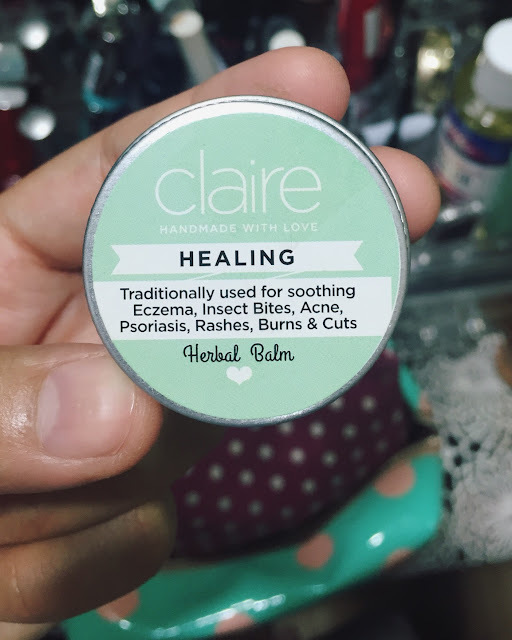 The balm helps soothe any itchiness that I get sometimes and it gives a cooling effect.I also love that the tin is tiny and can fit into my handbag. Overall,I'm impressed with what Claire Organics has to offer.I love the ingredients that they use as it's pure,organic and good for your body. I'm definitely excited to try more of their products.They're available at Isetan KLCC and also One Utama(until 11 november).